Click an image to view it full-size! 1. 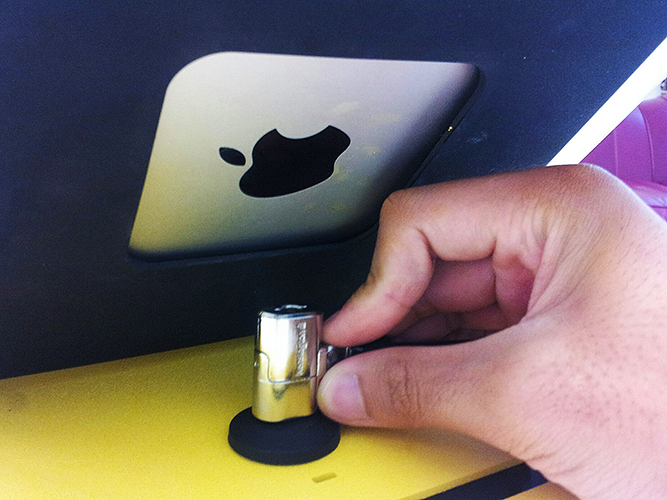 After your iPad and Windfall stand are set up, to lock the device to your counter, simply wrap the cable around a table leg or other secure object. Feed the lock of the cable through the loop on the other end. 2. 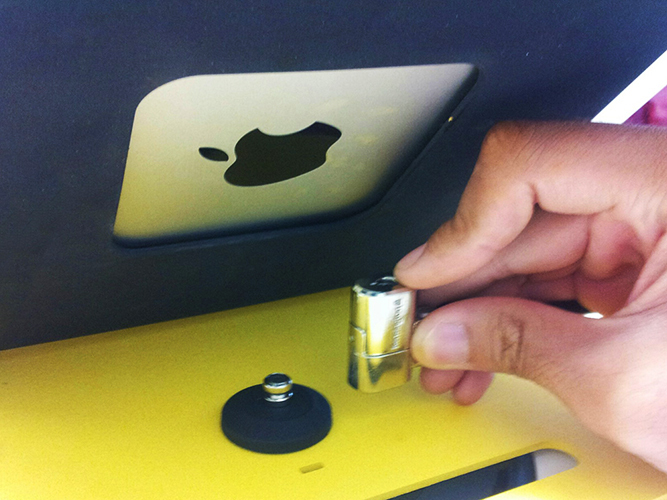 Now that the lock has formed a secure loop, stick the lock onto the nub located on the back of the windfall stand. Push down, and the lock should click in place. Your lock is now secure. 3. To release it, simply insert your Kensington lock key and twist. 1. 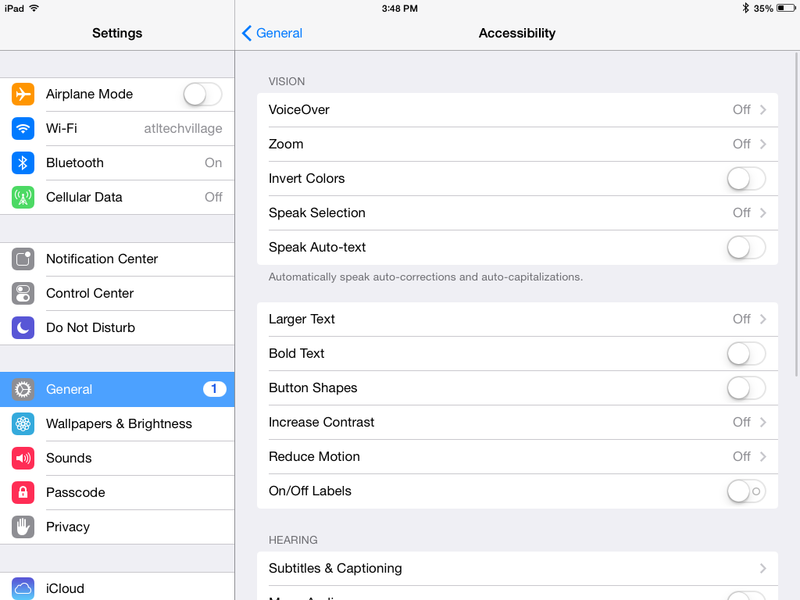 If the iPad is off, simply press and hold the power button on the upper right corner of the device. If the iPad is in the windfall stand, this button will be located in either the upper left corner of the iPad or the lower right. Release when the screen lights up. 3. 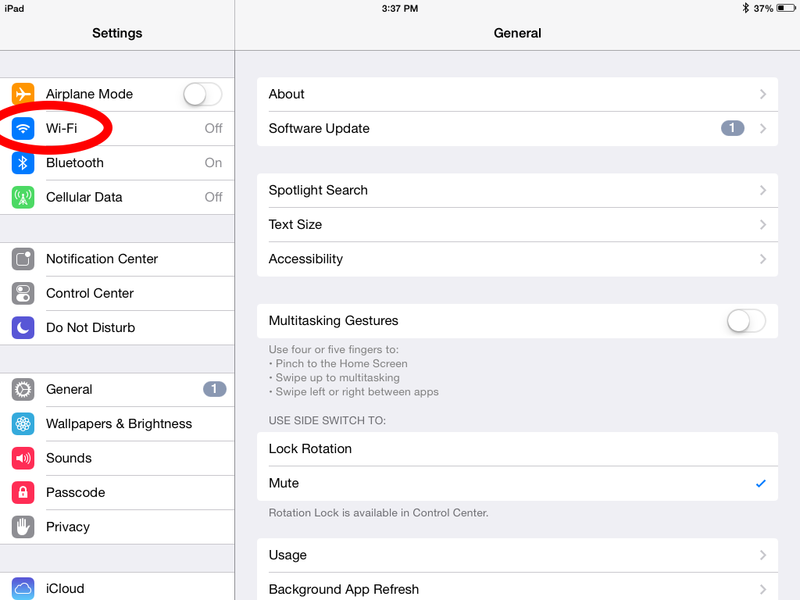 If the iPad is on, it will exit sleep when you press this button. 1. 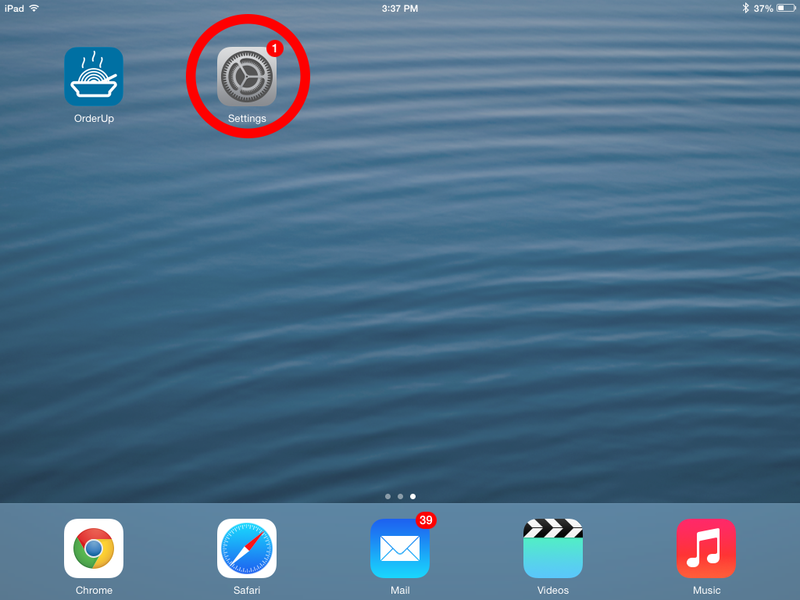 On the home screen of your iPad, tap the settings icon. 2. 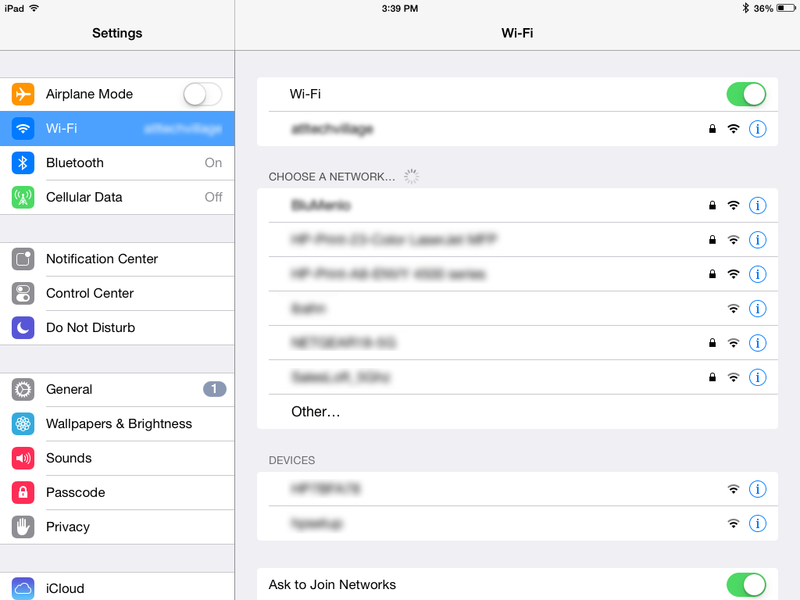 Tap the WiFi tab, then select the WiFI network of your business. 3. If the system prompts you, enter the password required for the network. 1. 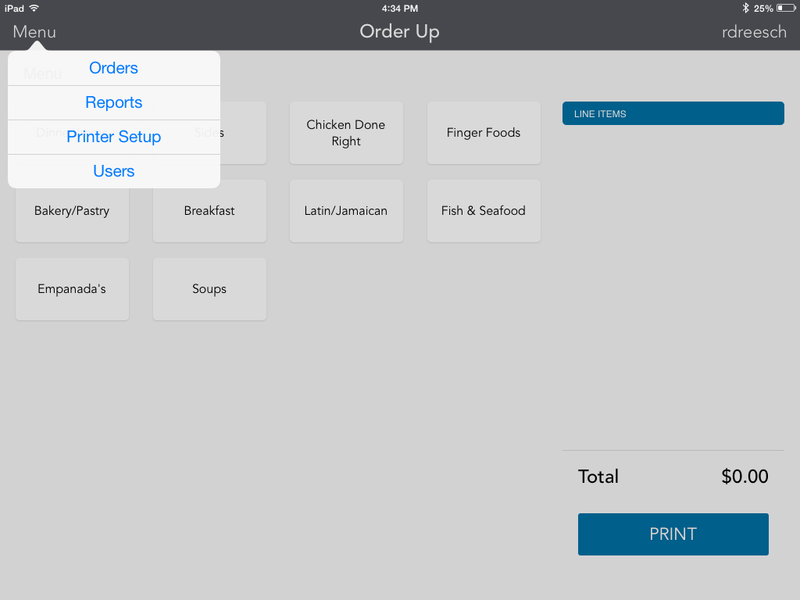 On the home screen of your iPad, tap the Orders Up app. 2. The app will prompt you for a PIN. Your PIN also serves as a user ID; the PIN you enter will log you in as that user. If you do not know your PIN, refer to our FAQ’s. 3. After entering your PIN, you should be logged in as the corresponding user. 1. Ensure the printer is turned on and plugged in. 2. 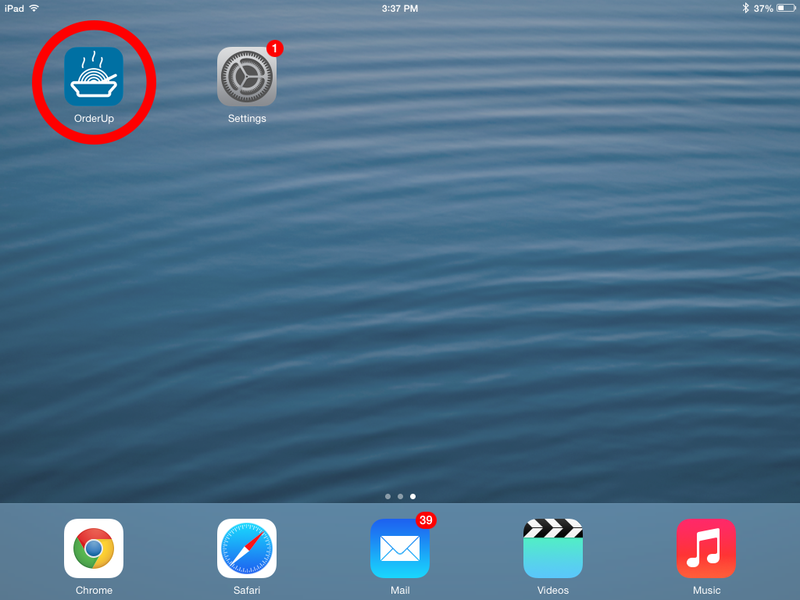 On the home screen of your iPad, tap the settings icon. 3. 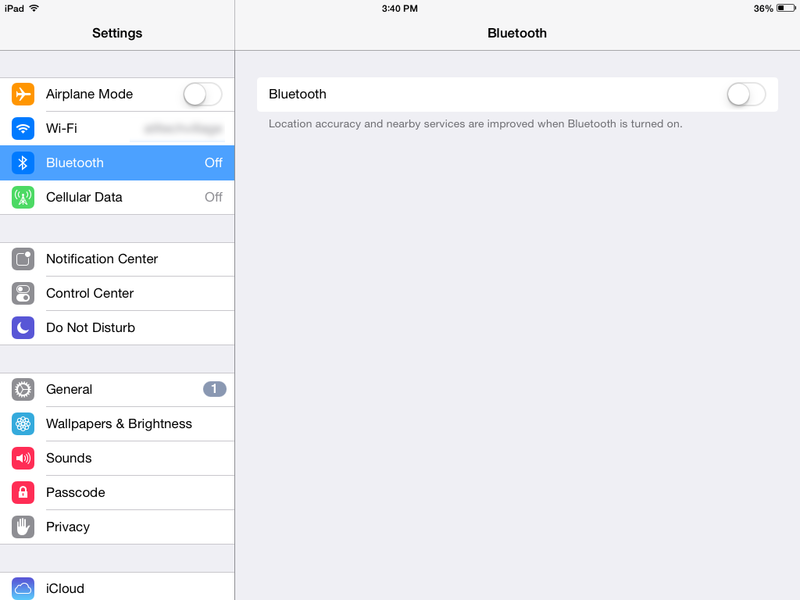 Tap the Bluetooth tab, then click the switch next to Bluetooth to turn it on. 4. After the iPad has scanned for Bluetooth devices, tap the printer. It should have a name similar to TM-T88V_0000XX. 5. When the devices is successfully connected, it should have a check mark next to that device. If it didn’t pair properly, check out our FAQ’s. 1. After you have completed (5. 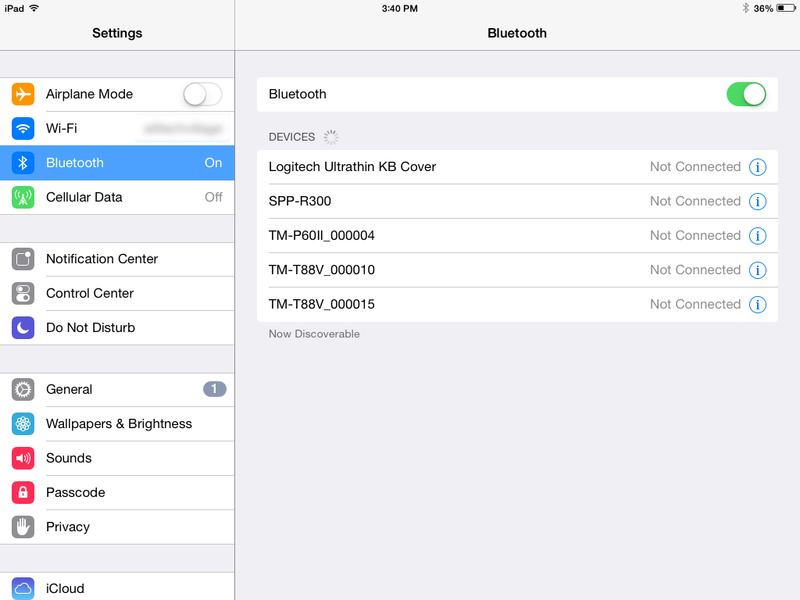 Connecting the printer to Bluetooth), go back to the home screen. 2. Navigate to the Orders Up app, and log in using your PIN. 3. The app may have a prompt telling you the printer is set up properly. If not, in the upper left corner, tap “Menu”, then “Printers”. 4. Tap the “Reconnect” button in the upper right corner of the Printers screen. Select your printer. 5. 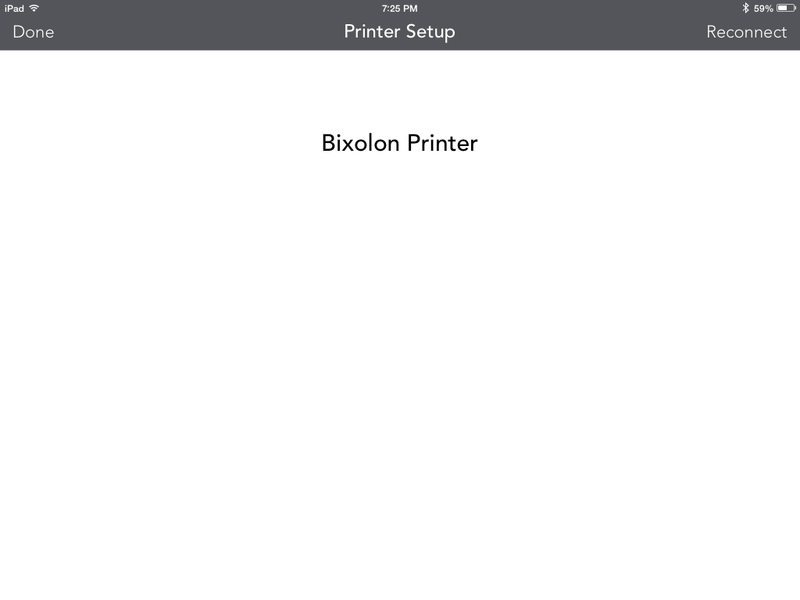 If the printer has successfully installed, a pop-up should appear telling you the printer is successfully connected, as well as the printer showing up on the printers list. If not, refer to our FAQ’s. 1. In the Orders Up app, sign in with your PIN and tap the menu button in the upper left, then press users. 2. 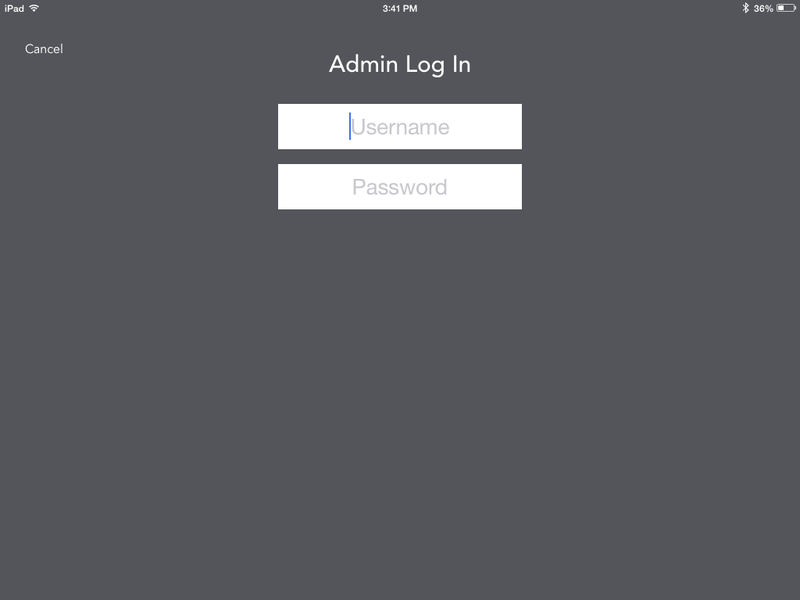 Log in as the administrator. If you do not have administrator access, refer to our FAQ’s. 3. 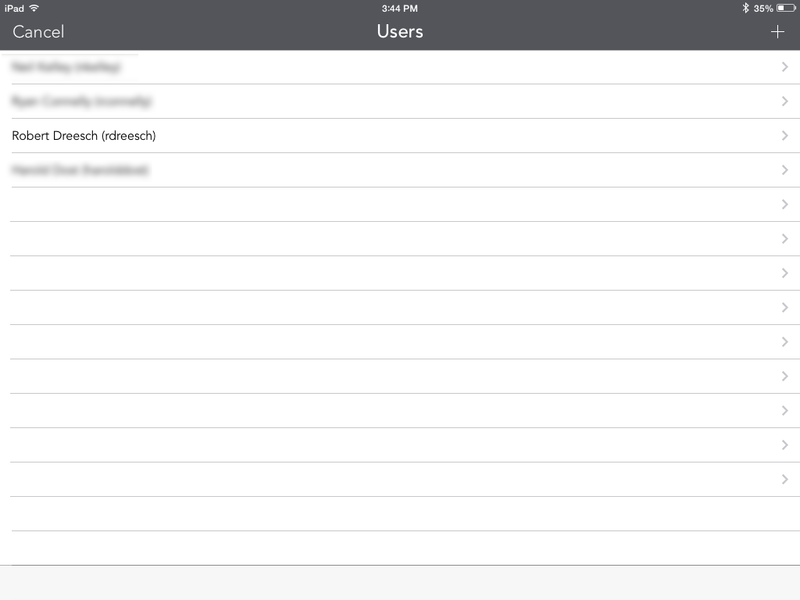 To add users, press the + button in the upper right. 4. Fill out the New User form, and ensure you assign that user a unique PIN that has not been assigned to another user. 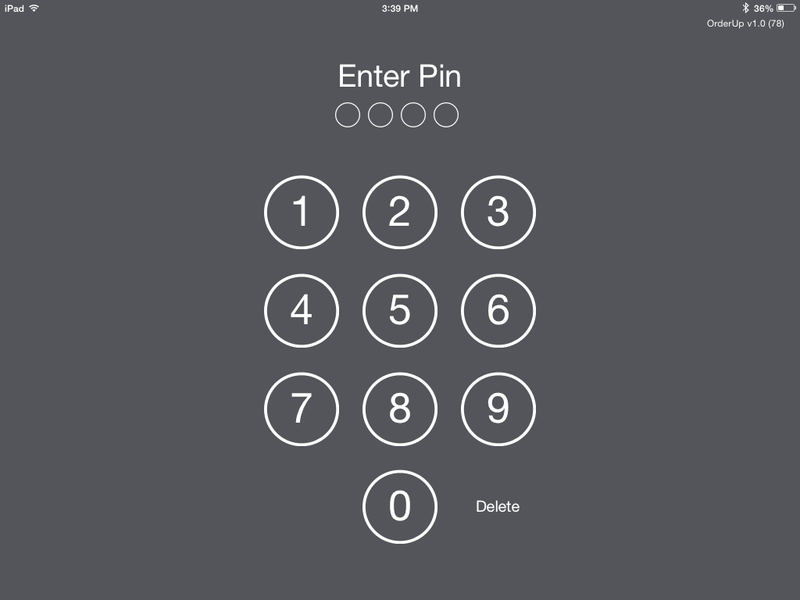 If you do not remember a PIN, you can return to the Users screen, and tap a user to see its PIN. 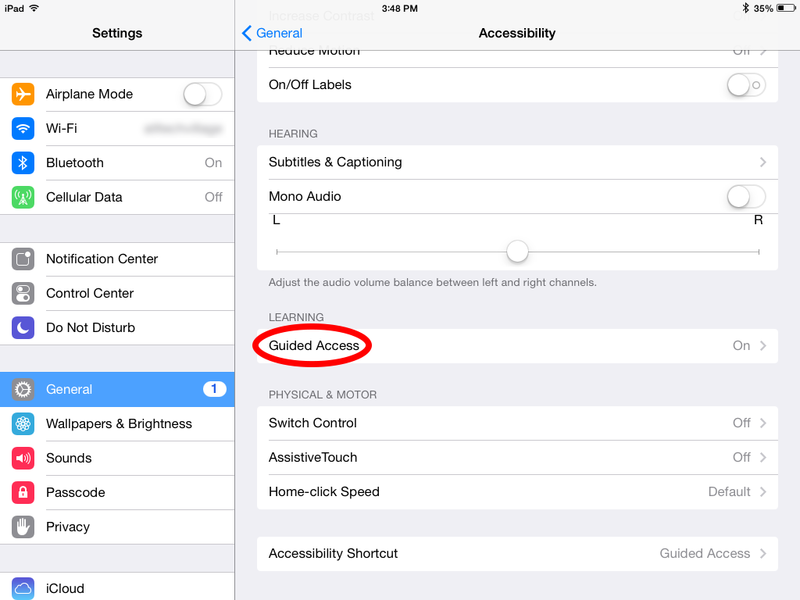 Guided Access is a feature of the iPad that allows you to prevent users from performing unwanted actions, and limits the device to a single app. 1. 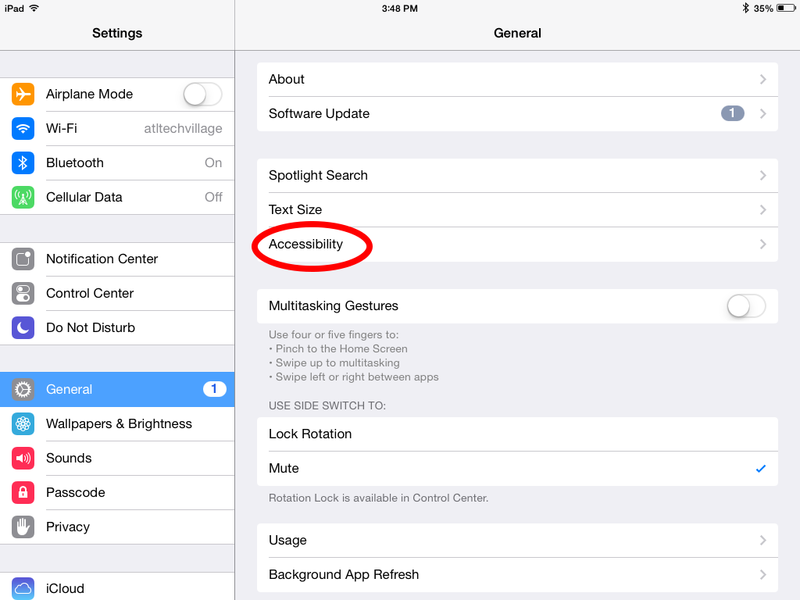 In the iPad Settings, tap Accessibility in the General tab. 2. Scroll down until you see Guided Access. Tap it, and then enable it. 3. From there, you can configure Guided Access, such as setting the passcode, and locking Guided Access onto Orders Up. To exit Guided Access after it is enabled, simply click the home button three times and enter the password you entered in the Guided Access settings.